The federal government has launched consultations on the Canada Job Grant, an initiative announced in the recent budget that is meant to transform the way Canadians receive skills training. “The Canada Job Grant will take skills-training choices out of the hands of government and put them where they belong: in the hands of employers with unfilled jobs and Canadians who want to work,” said Prime Minister Stephen Harper as he launched the consultations in Brantford, Ont. recently. Training in Canada is not sufficiently aligned to the skills employers need or to the jobs that are actually available. 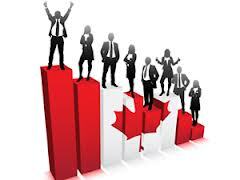 There are too many jobs that go unfilled in Canada because employers can’t find workers with the right skills. Meanwhile, there are still too many Canadians looking for work. The grant could provide support of $15,000 or more per person, from a $5,000 maximum federal contribution and matching contributions from an employer and a province or territory. Once fully implemented, the government expects that nearly 130,000 Canadians each year will have access to the training they need to find work or improve their skills. The Grant will be for short-duration training and will include eligible training institutions, including community colleges, career colleges and trade union training centres. Businesses with a plan to train unemployed and underemployed Canadians for an existing job or a better job will be eligible to apply for the grant. The meeting in Brantford was the first in a series of consultation that will take place with stakeholder groups such as employer associations, educational institutions and labour organisations on the design of the Grant. The grant is expected to be implemented in 2014-15.